Violinist Elizabeth Smith has an active career as performer and educator in Louisville, KY. Elizabeth received her Bachelor of Arts degree in Violin Performance from the Mahurin Honors College at Western Kentucky University and completed her Master's degree in Violin Pedagogy at the University of Louisville. Elizabeth has performed with orchestral and chamber groups throughout the United States and China, including the Symphony at WKU, the University of Louisville Orchestra, Orchestra Enigmatic, the Amoroso Quartet, and the Pauli Quintet. She has also studied or taken part in masterclasses with Ray Iwazumi, Ida Kavafian, Jaime Laredo, Susan Paik, Saeka Matsuyama, Jun Iwasaki, and Mimi Zweig and more. Elizabeth has taught a private studio of students of all ages for over a decade, in addition to her work with Whitters String Studios, the WKU Pre-College Strings Program, Bowling Green Fine Arts Academy, and the University of Louisville String Academy. Elizabeth uses a mixed-method teaching system based on the principles of renowned pedagogues Suzuki, Sassmannshaus, and Rolland, to create a tailored approach for each student. Her teaching goals include creating a comfortable set-up, precise intonation, and correct technique with an emphasis on tension-free playing. 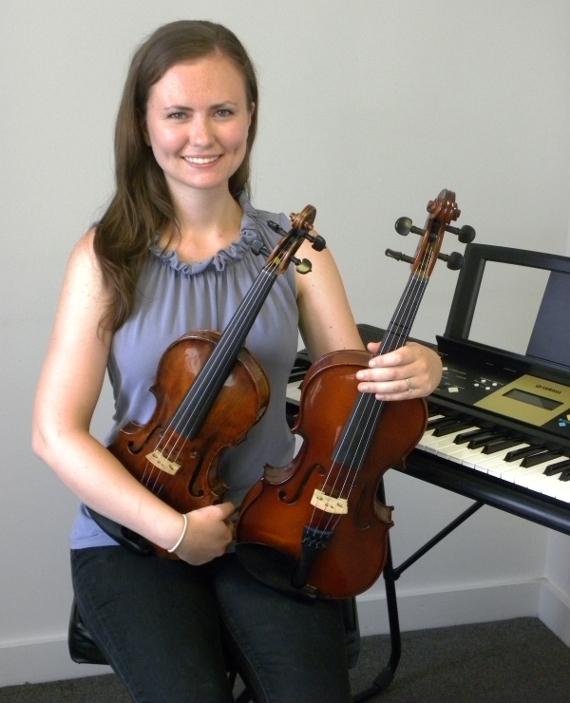 Elizabeth currently offers music lessons at Steilberg String Instruments on the violin, viola, and piano.